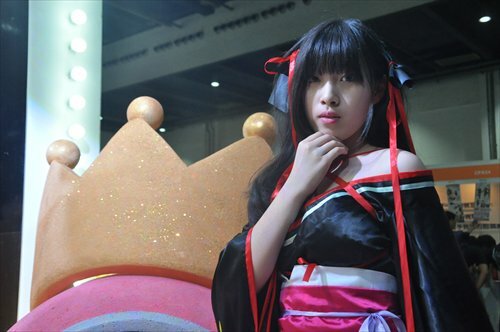 On Saturday, at a large exhibition booth on the first floor of the Shanghai Everbright Convention and Exhibition Center during Comicup, one of the largest local comic and animation exhibitions, dreams were being offered. And hundreds of young girls were there at the X.D. Entertainment booth chasing dreams. This booth was promoting a new talent show draft, the "XD Project," and for many girls, this was the dream of a lifetime. 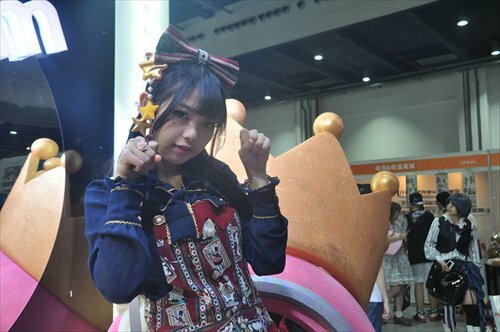 The Shanghai-based company plans to launch a new female idol group and is looking for performers from throughout the country. Until the middle of June unattached young women aged from 15 to 20 can apply to join the selection process. "To date we have received more than 4,000 applications online," said Li Shaofeng, the company's planning director. After applications have closed some of these 4,000 or so girls will be invited for face-face interviews and some 80 young women with potential will be selected. Then from this group, after more auditions, the company will eventually sign contracts with 20 girls and take them to Japan for coaching in singing and dancing. The idol group, as it will be seen onstage, will comprise seven to nine performers and will debut in early 2016. "We will have some of the leading musicians and producers in China and Japan working on music for them," Li told the Global Times. He admitted that the lucky chosen few would have to sacrifice their studies for the time they stayed with the group because of the busy schedule it would involve. "There will be a lot of coaching and performances in the first year, and we will suggest that they give up school for a year," he said. Before any of the girls sign contracts the company will talk to their parents and get their approval. "These are professional careers and we can't let anyone join us unless they have their family's support." 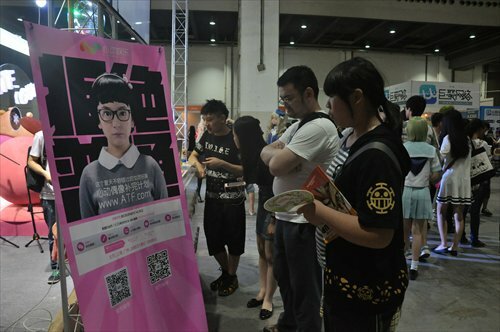 On Saturday the company's booth at Comicup was besieged by young women looking for their chance to be in the spotlight and be followed by thousands of fans. 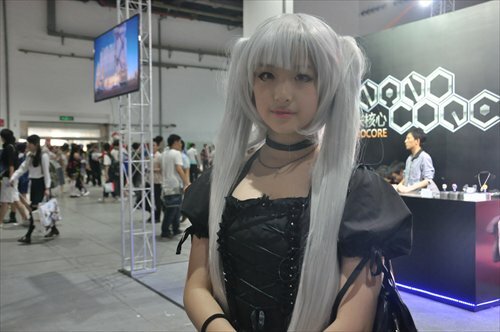 The Global Times talked to some of the girls who stopped by the booth. This mix of attractive college, high and middle school students shared one dream - and that was being famous. I heard about this talent show draft last month and entered my name a couple of days ago. I'm interested in it because I've dreamed of being an idol since I was a child. I believe it's good to learn more and experience more when you are young. If I chose to live an ordinary dull life - study, graduate and then work - there would be nothing admirable or memorable in my life. I don't want to live that way. I think I'm a competitive candidate. I have a cute face and I'm good at dancing and performing. I will graduate next year, and, luckily, taking part in this will not affect my education. My parents are broad-minded about this. They encourage me to try different things and they are happy to see me become more independent and self-confident. Some of my friends have signed with other entertainment companies. Usually they sign 8-10-year contracts but this is quite a long time, and few would find it easy to last to the end. My friends sometimes grumble that being an idol is a very hard work, and every day they have to just perform or rehearse repeatedly. It sounds boring and laborious but I know that they are really enjoying it. They live the way they want to. If I become an idol one day I will do my hardest to stick at it, no matter how difficult it gets. If I don't succeed this time, I'll still regard it as one of the best moments in my life - participating is more important than the result. I just saw this booth and what they are advertising and I would like to join in. I know about some of the female idol groups like this in China and Japan. Joining groups like this is a good way to express yourself and showcase your talents. It's also a good way to learn teamwork with the other group members. I'm a star in my dreams and I am now making efforts to make my dreams come true. As a cosplay fan, I often participate in cosplay shows and contests to show myself off. I'm also interested in singing, dancing and dubbing. As an extrovert who loves talking and laughing, I think I can get audiences to share my confidence and humor. I'm studying at a private high school in Shaoxing, Zhejiang Province. At school I enjoy quite a bit of freedom and often travel on holidays. My parents really support my dreams and hobbies. 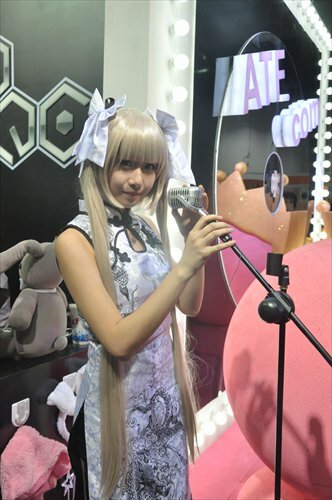 My mother even shares my cosplay photos on her WeChat account. They said that I'm old enough to make decisions on my own and they respect all of my choices. If I pass the preliminary audition in June for this I will then tell my parents. I think they will be happy to see me in this show. I heard about the talent show draft from friends. Last month friends sent me the link to the company's website and said, "This seems right for you." I looked over the website and quickly submitted my application. The application was simple - we just had to give basic personal information and performing experience. I have had a lot of experience in theater, singing and playing the guitar, which could help me here. Last year I was in another talent show draft in Shanghai. They auditioned my singing and dancing, but unfortunately I didn't pass the test - the judges seemed unhappy with my dancing. Two of my best friends passed though and they became members of SNH48 (a popular idol group). They tell me their lives are now filled with endless performances and rehearsals, and sometimes they can't even get to sleep at nights. I know that being an idol like my friends will be difficult and demanding but I still want to try - if I'm famous I can share my ideas and thoughts with more people. At present I'm in the ninth grade and I will apply to enroll at an art school next year. Participating in talent show drafts fits into my personal career plans. My mother supports me a lot, and my father, though he doesn't really encourage me to become an idol, eventually accepts most of my decisions. He told me once that I could try whatever I liked. I study in Jiangxi Province and I'm having my summer holiday in Shanghai. I just found the booth now and I'm very interested in this. I'd like to take part but I'm afraid I'll have to ask for my parents' permission first. My major is nursing and my mother wants me to work at a hospital after graduation. Being a nurse is fine but it's a bit boring compared to being a star. I didn't dream of being an idol when I was young. I'm good-looking but I'm not good at dancing and I even can't sing in tune. But being an idol group member sounds pretty cool and fun to me. If I got in I would hope to learn more life skills during the process, like how to do makeup, and how to get along with other people. It would be a good opportunity to improve myself. However I will have to discuss this with my parents before applying. My mother complains a lot about me being disobedient. Like before I told her I wanted to go to Shanghai I had actually secretly booked the flight tickets. She was very unhappy about that. These days I'm busy preparing for my graduation exams and a driving test. If I decide to apply and take part in this I will have to draw up a proper timetable and coordinate everything properly. I hope my mom and dad will let me do this. I'm interested but not sure whether I'll be allowed to apply. I'll be 15 in two months time. I love singing and dancing, and want to join a talent show draft like this to make my life more exciting. It would be a very interesting experience, but I won't spend a lot of time and energy on it - I'm still young and education is more important to me at present. It will be hard to persuade my parents to let me participate. They don't think that singing and dancing is a very promising profession - they want me to live a more socially important life. I'll have to check the website out and find out more about the details. I know they have more than 4,000 applications but I don't think I'm very competitive. If I participated, I would regard this as an opportunity to meet more people and face challenges, rather than an opportunity to become a star.